Balbriggan play Rathoath this Friday night, 13th Sept. Kick-off is 8.00pm in Balbriggan. Unfortunately, the Jenkinson Cup match, due to be played Fri 6th Sep, has been cancelled, as Nth Meath can’t field. I am hugely proud and privileged to have been elected President of this great club for the next two seasons and I am delighted to welcome you to our club’s website. We will endeavor to keep this site current and relevant to all rugby activity and events during the season and to represent all sections of the club. Our aim is not only to provide match reports, photos and details of forthcoming team fixtures but also to promote the many events we have planned to take place in the coming year to which everyone is invited. 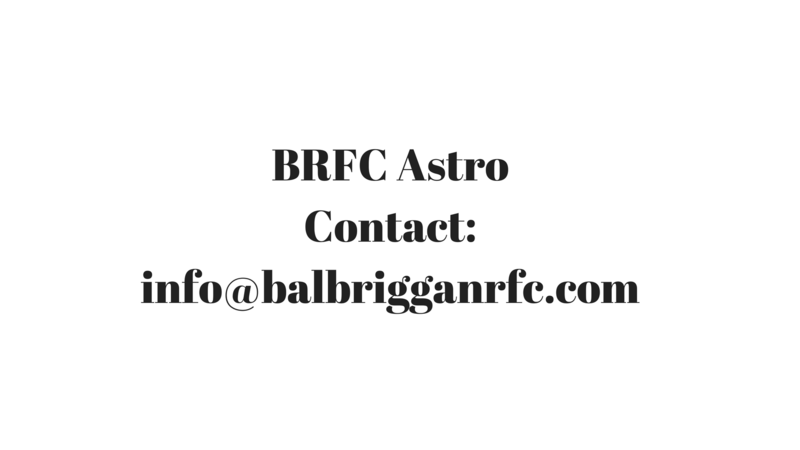 I would encourage you to visit the website regularly to keep up to date with club life and to follow us on Twitter @BalbrigganRFC (coming soon) and Facebook – Balbriggan RFC for further information. You can also email us at info@balbrigganrfc.com and we welcome any suggestions you may have relating to any aspect of Club activity. The senior side enters the new season in a much stronger position than this time last year thanks to the tremendous work put in by the senior management and coaches last year. I’m sure they will capitalise on this excellent work done in the coming season. Youth & Mini sections continue to go from strength to strength and in many respects have set the standards for other clubs to aspire to. Both of these sections are crucial to the Club. As we are building for the future and developing our players to maintain a top level of rugby with ‘home grown’ talent, much more emphasis will be placed in these two areas in the coming year. We pride ourselves on being able to maintain our teams with local players thanks to the strong Mini and Youth Programmes we have established and long may it continue. I would like to thank all our sponsors who have remained loyal to us especially in the last few years, which economically have been very tough. We, in turn, must play our part in supporting them in any way we can. I also want to thank the many members of our club who give freely of their time and support our fundraising efforts year after year and do so much ‘to keep the show on the road’. Finally, I look forward to another great year at all levels in the Club and wish all our players, teams, coaches and supporters every success in taking on the challenges this coming season. Balbriggan vs Unidare, Tuesday 3rd September, in Balbriggan. Kick-off is 8.00pm. 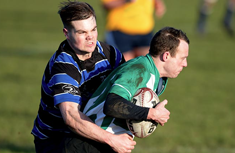 Balbriggan won its first game in the Jenkinson Cup tonight, against Athboy. Result 8 v 5. 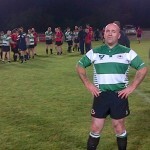 Balbriggan play their next game, a friendly, against Unidare, on Tuesday 3rd September at home, ko 8.00pm. Balbriggans first match in the Jenkinson Cup has been switched to this Friday. Details are as follows: Athboy vs Balbriggan, Friday 30th August 2013 in Balbriggan. Kick-off is at 8.00pm. Balbriggan RFC start off their new season this weekend with a home game against Athboy on Sunday 1 Sept in the Jenkinson Cup. Ivan McFadden notes that last season was about rebuilding, and with a combination of players coming through from the U19s and a number of new players to the game the nucleus of a new team was formed with a few old heads to lend experience. Since February last year there have been 16 new recruits to the adult section, the majority had not played the game before but enjoyed playing tip rugby over the Summer and are now willing to give the real thing a try. McFadden noted that the Club also are welcoming back, Sean Malone and Leigh O’Toole from long term injury and Tom Hagan from a year abroad, these returnees will lend a level of experience to the new guys. The objective for the year is to build the experience of the players with a target of returning to the Leinster League next year. Last Thursday the team had its first outing with a training game against Garda. While Garda ran out 16-11 winners it was a good exercise for the home team. Coach O’Sullivan was very happy with the effort put in and in particular his returning players Malone and Hagan put in good performances. Paul Cullen was another to shine with some good carries in the pack while Stu Mullen showed he still has a turn of speed in the backs. All Balbriggan’s points came from assistant coach Billy Phelan. Training is on Tuesday and Thursday nights at 7.30pm. Last Thursday was also mini registration night and over 100 minis and their parents turned up. They were all able to get their photos with Leinsters Rabo, Amlin and B&I cups which were on hand for the evening. Mini training starts on Thursday night at 7pm. Children, both boys and girls between the ages of 6 and 12 are very welcome. The youths section kicked off their training last Wednesday with the U14s and 15s. The 13s start this week. The club hope to also field an U17 team from the Community College’s successful U16 team last year. Training is every Wed at 7.30. Over the summer a number of ladies participated in tag Rugby and the Club is very interested in starting a ladies team. Register your interest at info@babrigganrfc.com. The Club holds its AGM on Wednesday night at 8pm in the Bracken Court Hotel all welcome. Jenkinson Cup fixtures have been announced. Please refer to fixtures section for details.